Derek – I feel it would be great to start with how did you get into writing horror? Denise: I’ve always been interested in the paranormal and have read horror/spooky stories since I was a little kid. As a romance writer, I frequently wrote paranormal elements into my stories. About two years ago I decided I wanted to make the leap to writing more horror pieces. Derek – Is there something that appeals to your nature in the horror genre, is it the monsters, the magic, or the mixture of adding martial arts to horror? Denise: For me, I think it works like an exorcism. I believe many horror authors have personal demons to destroy, and the horror stories help me express either things I see in my own life or in the world in general. A sort of twisted way to present the truth. Derek – Alright, so when did you first get published and can you tell us a bit about that experience? Denise: I’ve been published since 1999, but my first horror piece came out in 2016. Derek – At this time how many stories do you have published and where can our readers find them? Derek – Where do you find your inspiration for your stories? Denise: Ah, the age-old question. My inspiration comes from everywhere. I once got the inspiration for two horror stories from walking my dog in my neighborhood. This one house creeped me out and a horror/sci-fi novel came from that and later on a separate novella. Derek – When did you first know that you were going to be a writer? Denise: When I first tried to write a sci-fi short story when I was fourteen. I was hooked after that. Derek – As you continue on in your career is there a point where you can look back and say yeah that is the moment that I knew that I was going to make it? Derek – When did you first start writing? Denise: When I was fourteen. Derek – What has been your most favorite project to work on, so far? Denise: Oh man, that’s REALLY difficult. If we’re talking horror, probably a novella I just finished that is set in the 1930’s. In historical romance, my story set in Roman Britain is probably one of my favorites. Derek – How do you find time to balance your personal life and writing? Denise: I write full time, so I’m very fortunate to schedule most of my just how I want it. If I write first thing in the morning after breakfast and the hubby has gone off to work…that’s the best and most productive writing time for me. Derek – Alright so without giving too much away, what projects are you working on currently? Denise: I’m working on two horror novella/short story collections and also a horror screenplay with one of my production company partners. Derek – Please tell our readers who some of your favorite authors and why? Denise: Dean Koontz is one of my favorites. I love the variety he puts into his work. He’s never been afraid of going in many different directions. I also love his strong female characters and his ability with suspense. 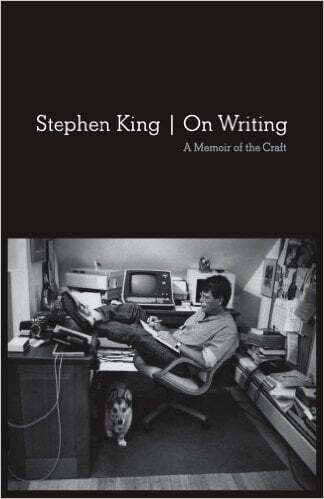 Stephen King is another favorite. His complex characters and ability to scare the pants off someone…priceless. Derek – Do you feel that your style is related to the authors that you read? Denise: Not really. I think I’ve found my own voice. Derek – Do you use beta readers, can you tell us how that experience has been for you? Does it help? Denise: I definitely use beta readers. I utilize two to three readers on every story. It has definitely helped me. Derek – Where can our readers get in touch with you if they want to become a beta reader for you? Denise: I’m not taking on any new beta readers at this time. Derek – Where can our readers follow you on your amazing journey? Derek – So, a question I ask everyone – if you could be any animal, what animal would it be and why? Denise: Wolf. It’s my totem animal, and I’ve always been an admirer of wolves. They’re amazing and intelligent creatures. I’ve always been drawn to them. Derek – Thank you so much for your time. It has been such a pleasure working thus far. I am excited to see what you come up with next. I am really looking forward to following you and your career path. I see great things in the future for you. Derek Brown is a caring father, a loving husband. He has been writing since before the dawn of time, or since he was old enough to learn how. He has self-published one book already, Until the End, which will be enjoying a paperback release in late 2017. As a result of the screaming voices in his head he has almost finished his second book, An untitled collection of short horror stories and dark twisted poems. When he isn’t being tormented by the demonic voices he is a full-time nurse. Derek is probably the biggest, Bob’s Burger’s Fan to ever write horror stories. He also somehow manages to find time to Cosplay as, Batman, The Dark Knight and can been seen cheering up the faces of children at hospitals and schools. As if he wasn’t busy enough he also is photography. Horror photographs coming soon. He also enjoys video games, watching movies (sometimes directing short films), and zombies. Please feel free to contact him anytime, he doesn’t sleep much if you can’t tell.